McKenzieFysh - Doin' the Puyallup at the WA ST Fair! Doin' the Puyallup at the WA ST Fair! I do keys,vocals and tambourine for The Truman Doctrine band. 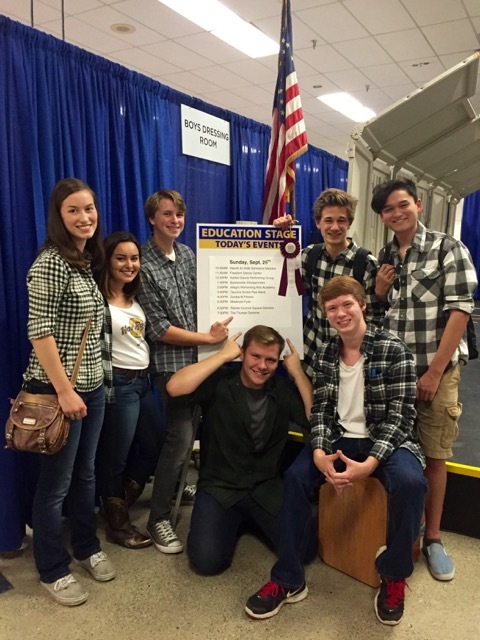 We got the wonderful opp to perform at the WA State Fair's Education Stage, and had so much fun! I also performed a 1 hour solo piano set beforehand. Special thanks to Scott Anderson for the use of his cajon, Linda Worthy for the booking, the wonderful Fair staff, and to our friends and family who came out to support us. It was surreal to have a random person at school come up to me and say "hey I saw you perform with the Truman Doctrine at The Fair".